Get Ready Hoboken. 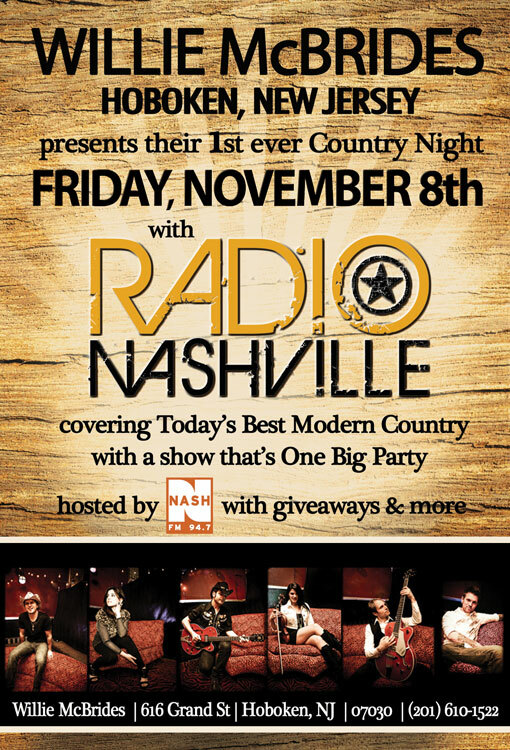 Country music is coming, Friday November 8th at Willie Mcbrides in Hoboken, NJ their 1st ever country night hosted by Nash FM and performing Radio Nashville. Country Giveaways. Drink specials, Fireballs, and a whole lot of country music, Mark this date, we hope to see all the country music fans out so we can do this more often.